I’ve gotten quite tired of emotionally uninspiring plot diagrams, so here’s a quick breakdown of high and low concept stories. Hopefully Miyazaki’s storytelling in Howl’s Moving Castle can offer you some freedom from formulae. Read the article ”Storytelling through Character and Concept” here! Writing is hard work. A clear sentence is no accident. Very few sentences come out right the first time, or even the third time. Remember this in moments of despair. If you find that writing is hard, it’s because it is hard. It’s one of the hardest things that people do. Only after a writer lets literature shape her can she perhaps shape literature. As you have probably noticed, many of my posts have mentioned StoryForge recently, so maybe it’s time to update you on my career direction! In Spirited Away, Miyazaki’s young protagonist Chihiro starts as a whiny, passive child, but the story forces her to grow up or give up, creating a bildungsroman of bravery and selflessness. …your character takes on a life of her own. Today my protagonist found herself inside of a fish’s mouth, reaching down its throat. Never in the past 7 years have I considered forcing her that low, but I suppose she just wanted to surprise me. Honestly, it was pretty gross. Over the years, I have gathered a few tricks to help myself settle down and actually write. Today I am actually following my own advice! (A novel concept, right?) 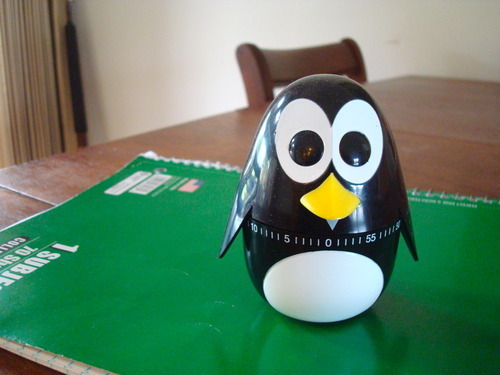 Using my little penguin egg timer, I’m writing in hour increments and taking healthy breaks. See the article for all 6 tips at StoryForge Productions! Today’s goal: 3 hours, 3k, and 1 teapot of rose-jackfruit black tea. Hour One: 1,145 words and 3 hot cups of tea. Hour Two: 1,103 words and 1 lukewarm cup of tea. Hour Three: count pending 980 words and 1 cold cup of tea. How do you get yourself to focus? Any quirky tips that you can share? It’s the weekend. Technically it’s time to be done with work. But what am I doing? Writing an article on storytelling and character growth in Spirited Away! Why? Because I love stories, Miyazaki, and StoryForge. The article is already over 2,000 words, so it’s time to pull back and start chopping to the heart of the issue. That movie is so complex and wonderful; it’s hard to stop adding to the analysis!